AC462-compliant ISO containers are confirmed to have certain structural properties, such as weight capacity, which engineers can use to design multi-level container buildings. In turn, code officials can confidently evaluate and approve structures built with AC462-compliant containers. It’s critical to keep all the modules in a multi-level container structure aligned and level. Otherwise, you may end up with a Leaning Tower of Pisa situation. 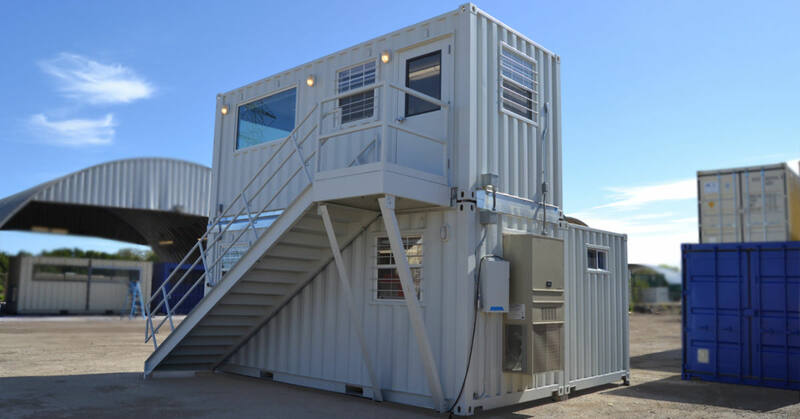 While single unit container offices may be placed on bare earth, larger multi-unit structures do require some kind of foundation or pier system to ensure the building stays level. Airports, marinas, and construction sites may choose to place multi-story modular buildings directly onto concrete docks and parking lots. Undeveloped locations in your facility will require additional site prep. Instead of permanently welding shipping container modules together, you can secure them the same way shipping companies do at sea. 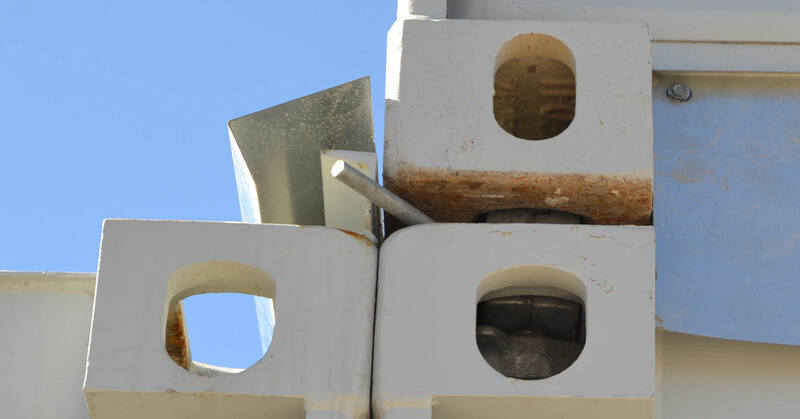 Bridge fittings lock adjacent containers together, and twist locks secure stacked containers. Shipping companies trust twist locks and bridge fittings to hold containers stacked nine-high, so you can be confident when using them in a two-story container building. 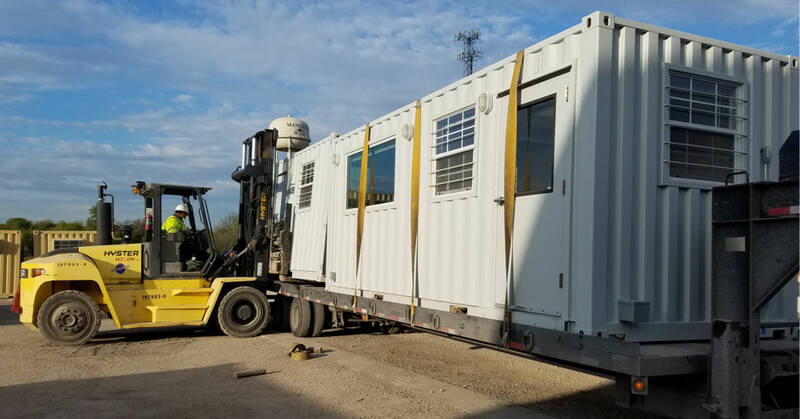 Multi-level modular buildings are shipped as individual units, usually one container per truck, and then stacked together on site. Therefore, the stairs connecting the upper story must also be detachable. Carefully measured steel stairs travel with container-modules and then get bolted to the side of the assembled building. Facility managers must embrace the corrugated steel exterior of multi-story container buildings to keep them mobile. While facades that simulate plaster, brick, and other traditional building materials help container buildings fit in with their surroundings, they would have to be torn off each time the building was disassembled for relocation. Instead, we recommend covering the container module exteriors with nothing but a clean coat of paint. Neutral or company colors give container buildings a branded and modern looking exterior that you won’t want to hide. Blog: How to Avoid Six Modular Construction Pit Falls. Blog: Shipping Containers are Joining Building Code. Now What? Infographic: The Advantages of Modular Construction in Three Statistics.